“Accompaniment.” That word seemed to be thrown around a lot in Rome during the Synod on the Family in October. 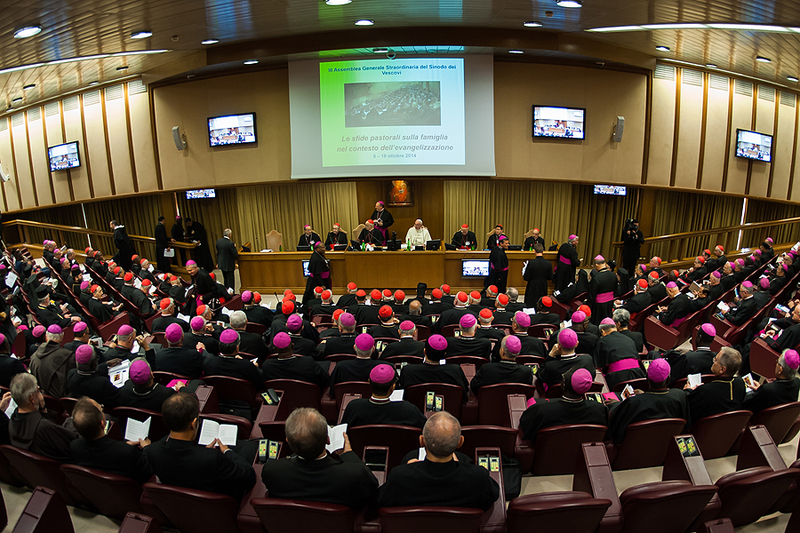 The Instrumentum Laboris, the working document used by the synod fathers during the Synod makes reference to accompaniment 37 times throughout the document. Yet, after reading it including the section on the “Art of Accompaniment”, I see neither a proper art or really any indication that those who wrote the document have a sense of what it actually means to accompany anyone. I was once a child, who grew up in the context of a single parent home, where my mother and father were divorced. If the synod fathers needed an example of a life that needed true accompaniment, mine was one. My father left my mother because of her faith when I was a baby. My mother was ill, relying on disability pensions and child support for most of my upbringing. I received a lot of care from my grandparents. 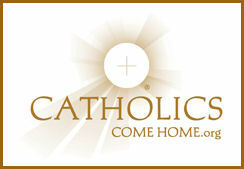 Yet, faithfully, my mother, grandparents, and I went to Mass every Sunday. My mother chose to remain single after the divorce for many varied reasons, even though she could have annulled the marriage, as she was married outside of the church before she was baptized. My father remained at a distance my whole life, seeing him only a handful of times a year, and he rarely spent one-on-one time with me unless he had to. So, though catholic, my life was messy. Really messy. Yet, the presence of the local church was not present in those gaps for most of my life. It was not until I was a teenager that I was given one of the greatest graces of my life – a priest-mentor. A local priest befriended me as a teenager and took me under his wing. The priest scandals of the last ten years had not yet happened, and so there was not really a safe environment policy which prevented me from hanging out with him. This priest showed up in my life at what was the most crucial moment and not only pulled me back from the precipice of self destruction I was beginning to head down as a young teen, but he began to form me into the catholic man I am today. This priest used to invite me over to hang out, watch movies, and help out around the church. He gave me the tools to work hard. He showed me what it is to work. He even helped me with my homework. He showed me how to communicate with everyone. He would take me on little road trips and visit shrines and different people’s homes. He taught me how to pray. He instilled in me a love and devotion to the Most Blessed Sacrament by inviting me over to pray at 6am. He shared his love for the Liturgy of the Hours. All of these things led me to begin discerning the priesthood and religious life. It was what led me to become a Secular Discalced Carmelite. He showed me how to love our Blessed Lord, the Church, and people. It was his mentorship that helped me weather the storm of confusion I encountered years later after being seriously wounded by another member of the clergy. This first priest had given me what I needed in my life, an example of true fatherhood. He had accompanied me as Christ accompanies us through life – by my side, like a father. After reading the Instrumentum Laboris and reading the reports coming out of Rome during the synod, I could not believe how many times they referenced accompaniment without providing real concrete examples of what that looks like. Yet, surprisingly enough, even President Barack Obama recognizes one of the greatest issues in our present culture that the synod simply seemed to overlook-the absence of fatherhood and how the Church should help. In relation to my previous blog in which I discussed how the simplest questions are sometimes the most difficult, I feel that same theme carries here. True accompaniment is not a sterile task. It is messy. It gets into a person’s life and gets involved. The church does not need to throw communion to the divorced and remarried. It does not need to look for the positive aspects found in homosexual relationships. It needs to look at how it can be the hands and feet of Jesus in the world. St. Joseph is the Universal Patron of the Church. St. Joseph was tasked to care for a child that didn’t belong to him. He was tasked to care for a woman who would now be a pariah in their community because she was an unwed mother. The Church needs to ask the question, “how do we be like St. Joseph?” I was a child who spent 12 years of his life without any involvement from his local church. They knew full well of my mother’s situation. No one came to our aid. Yet, we continued to file into the pew Sunday after Sunday, to hear the priest preach about serving the poor and needy. Instead of spending so much time focussing on communion for obstinate, unrepentant sinners, the Church needs to ask now more than ever how they can become like the Eucharist, the daily bread, to those hungry for love, care, truth, and true accompaniment and then they just need to do it. You don’t need a synod of bishops to figure this out. Look around your pews, find the hurting, and reach out. Grow a heart, church. Sometimes the simplest questions are the hardest. We only need to look into the heart of today’s secular culture, into our places of work, our relationships, our families, and most importantly, into our own hearts, to see this reality played out. When it comes to things like the abortion debate, the question, “what is a fetus” is avoided at all costs. When it comes to problems in our friendships and relationships, the question of “what have I done to hurt us” is commonly the last question. These types of simple and direct questions are necessary for a healthy and complete discussion, but were they being asked in Rome during this Synod on the Family? I recently attended the Congress for the Discalced Carmelite Secular Order in Canada and I was reminded about two very central themes that are not only central to our identity as Teresian Carmelites, but are in fact central to the life and renewal of the Church. After reading the different blogs, mainstream Catholic media, and the world of independent Catholic journalism, I came to the realization that the Holy Spirit is in fact speaking to the Church in this time, but I think we’re missing the message. I think the reason is that we’re not listening, and we’re asking the wrong questions. St. Teresa of Jesus in the Interior Castle states, “As I see it, we shall never succeed in knowing ourselves unless we seek to know God: let us think of His greatness and then come back to our own baseness; by looking at His purity we shall see our foulness; by meditating upon His humility, we shall see how far we are from being humble.” Looking at all that I have seen coming officially from the Vatican Press Office during the Synod on the Family, I can only conclude that the questions not being asked are, “who is God” and “who are we in light of who God is.” This is, however, not a synodal issue. This is a global pandemic. The identity crisis is real, as I spoke about in “Catholic Amnesia“, and it goes down to the deepest core of who we are. The 100 dollar word to describe what is going on in the Church today is “confusion”. Yet, why be confused? Why the destruction of the family in modern culture? Why the confusion of clergy regarding the theology of marriage and human sexuality? Why the push to hand over the very Sacred Body of Our Lord into the hands of obstinate, mortal sinners? We no longer care about who God is, and therefore do not care about who we are. If we really cared about putting God first, we would keep His commands as Christ said, “you are my friends if you do what I command you” (John 15:14). Yet, so many of us look for loopholes and ways to dodge the commandments of God to make the Gospel more palatable. Instead of seeking to respond to God, it is like we are constantly looking over our shoulder to ensure the world isn’t watching. We want to be “relevant” and by doing so we have watered down the Gospel to the point where it is indistinguishable. The Church today has a unique opportunity to speak the Gospel without compromise; the call to families to be little trinities in the world. The beautiful reality is that the family has a high calling which cannot be changed. Yet, if we do not ask the question, “What is the family in the light of God and Divine Revelation”, just forget about ever making a difference in the world. The more we put up roadblocks to speaking the truth, the more it will be like we are riding a bicycle and constantly sticking a rod between the spokes. We’ll fly over the handlebars time after time. have laboured to help the Lord. Part of our Catholic faith is our belief in the Communion of the Saints. We profess this at every Sunday mass and ask for their intercession. They pray for us continuously in Heaven and join us at each and every mass to celebrate. Many people are familiar with different devotions attributed to different saints, like asking Saint Anthony to pray for us when we loose something or asking for St. Josephs intercession when we are selling our homes. We may even ask St. Nicholas of Myra for his intercession when we are about to punch a heretic in the face (just kidding). I think that we sometimes can forget that the saints aren’t there only for us to ask for their intercession. There is so much more to them than that. The saints have life stories. Some were martyred, others were consecrated religious, hermits, priests, mothers, fathers, and children. One thing ties them all together: they devoted their lives to Christ and sought Him out in love and faithfulness and lived lives of heroic virtue. I think we have all had an experience where we want to get to know someone better, so we ask their closest friends about how they have impacted them. We ask what they do for fun and how the relationship has affected them. In this case, the person we want to get to know is Christ and one way we can get to know Him better is by getting to know the Saints. We can learn from them how to be better followers to Christ by learning from their examples. The lives of Saints can speak to us in unique ways. Some Saints may speak to us in very particular ways. One of my favourite saints is Saint Joan of Arc. I read many entries from her journal and was even more inspired to hear the words from her heart about her complete trust in God from the battlefield to the prison cell to death. Her example continues to inspire me to always trust in God, even when the world is against me. This kind of example was what I needed when I was being confirmed as I was going through hard periods of depression. Likewise, some may find consolation and comfort in the lives of other saints. A mother may be drawn to the fervent prayers of Saint Monica for the conversion of her son Augustine. 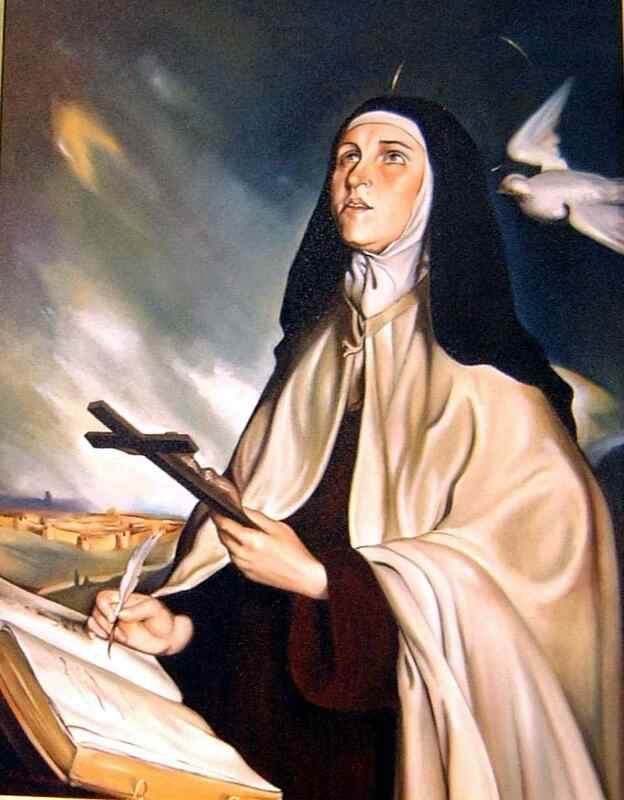 For the contemplative, perhaps St.Teresa of Avila’s writings. For the scholar, St. Dominic or Saint Benedict. For the struggling student, Saint Joseph of Cupertino. And all of them loved Jesus and now reside with him in Heaven. I won’t forget to make mention to the greatest saint of all: Mary. We should not be strangers to Our Lady, for she is the Queen of Heaven . She knew Christ first, and knew Him His entire earthly life, right up to the cross. We shouldn’t be shy about getting to know Mary better. It is in loving her that we can come to know and love her Son in the most amazing and beautiful ways. With All Saints day and All Souls Day approaching, perhaps we should spend some time getting to know some of the saints. Let us become close friends with the King and with those that worship Him perpetually in Heaven. Let us get to know the crowd of saints that were inspired to live for the King despite the difficulties they faced. Remember the saints not only by their deeds, but by their steadfast faith, devotion, and love for God and all that is His.